This is probably the indoor ‘cubby’ to beat all cubbies. Designed by Liya Mairson, an engineering and design graduate, ‘My Space‘ was created for children living in apartments or small houses that lack the space for a playroom. 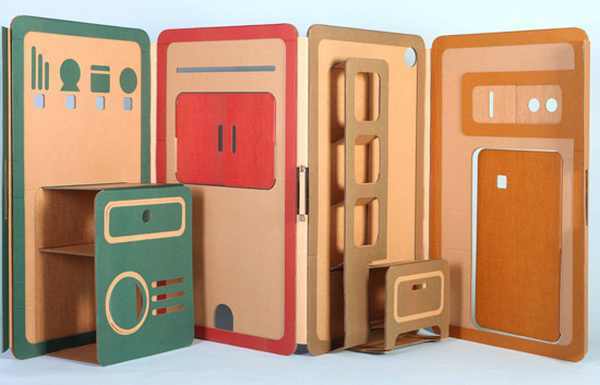 The folding panels use a ‘pop-up’ technique – hey presto, you have a fold-out play kitchen! When closed, My Space can be stored behind a door or under a bed. I love the intimate space that the fold out sections create and the play opportunities are endless. My Space is only a concept design at this stage – let’s hope it is put into production.